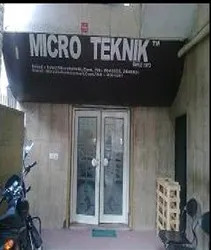 Microteknik was founded in 1967. At its inception the company manufactured many type of pathology and histopathology. 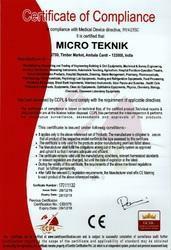 In 1973, Microteknik was established as a full fledge Manufacturing unit with a facility for pathology, histopathology, Microscopes, audiovisual, pharmacology, pharmacy and anatomy instruments comparable to any International Standard. Later we added in 1992 Clean air systems, Heat and refrigeration ( from -80 to 2200 deg),seed technology were added following with analytical instruments and glassware incinerator, fermenters, lyophilizers in 2002. 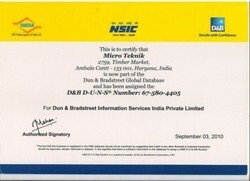 Awarded with national excellence award and last addition Engineering college instruments in 2005. We own our gratitude to Sh. V.B.Jain, the founder of the organization who’s prolonged striving endeavor for perfection, strenuous and sustained R & D coupled with relentless efforts to incorporate latest technology all these years, has made it possible to grade ‘TEKNIK’ products “an embodiment” for quality and streamlined designing and accuracy. We are also indebted and to our clients-the dealers and actual end-user for the patronage extended and for the continuous confidence reposed in us and for valuable suggestions to further improve quality of some our products. Our R & D section also deserves a Mention for their constant tireless efforts to bring -out instruments with latest technological adaptations making some of our product as import as import Substitute. All our instruments are warranted for 12 months against any manufacturing or working defects expect breakage or mishandling. An effective After Sale Service exists. The Latest illustrated section-wise Catalog and Consolidated and Consolidated Price List, we fervently hope , shall find your favorable response. 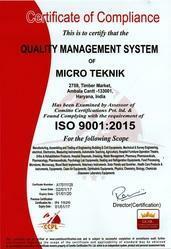 Microteknik believes that the customer is supreme and quality always comes first. The Company believes in perfection in workmanship and believes in providing their customer everywhere with products of quality as is evident from best performance and beautiful sturdy designs.We are Looking Enquiries from Asia, Europe, Middle east, Africa, North America, South America & Australia. 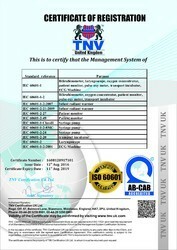 Certification Name: International Organization for Standardization. We are name to be reckon in the filed of manufacturing and supplying an extensive range of pharmaceutical & pharmacology and laboratory equipment & system. Besides this, we also offer process equipment for laboratory applications. Our range covers Visual Equipment (Projectors), Microscopy, Heat & Refrigeration System, Clean Air System, Lyophiliser, Microtome Equipment, General Laboratory System, Incinerators, Pharmaceutical & Pharmacology Equipment and Blood Banking, along with Medical College Instruments. Designed in line with international quality standard, our range finds wide application in pharmaceutical industry. Every professional is experienced and have enormous knowledge of in the respective domain. 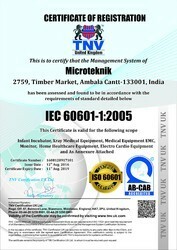 The constant efforts of our technicians and engineers have helped us to design laboratory and process equipment & system as per set standards. Our R&D staffs keep themselves engaged in research and development activities to improve the production techniques and product features. We have quality controller who keep a strict vigil on the entire production process to meet the quality standards. Owing to our sales and marketing personnel, we are able to deliver our products within stipulated time frame.